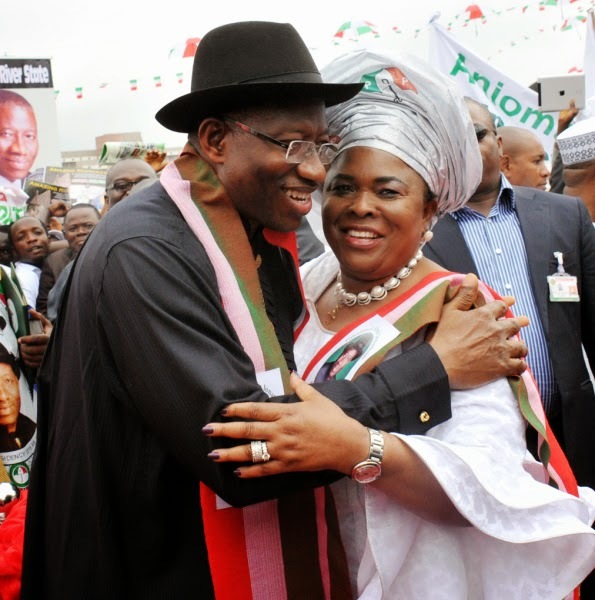 Nigerian first lady Mrs. Patience Jonathan, has said Nigerians should not vote for APC unless they all want to go to jail. “What did they forget in Aso rock? If you vote PDP and Jonathan, it would be better for you. If you vote APC, you will go to prison. If you drink APC, you will die.” “Since my father was born, they have been around changing from one name to another. Very soon they would answer Ebola. The name can’t change you; it is only performance that can change you. If you like change it 100 times. “Nigerian women shine your eyes, don’t go for analogue, go for digital. PDP is digital, APC is analogue. “They said there is no Office of the First Lady. Already, we know that there is no Office of the First Lady but there is wife of the President.